For the last 30 years Temple Bar Gallery + Studios (TBG+S) has been a hub for artistic activity in Dublin City, with hundreds of artists using studio facilities, hundreds more exhibiting in the gallery and thousands upon thousands of visitors experiencing inspirational visual art though a diverse programme of exhibitions and events. To mark their 30th anniversary, TBG+S commissioned artist Garrett Phelan to make an iconic art work for Dublin. 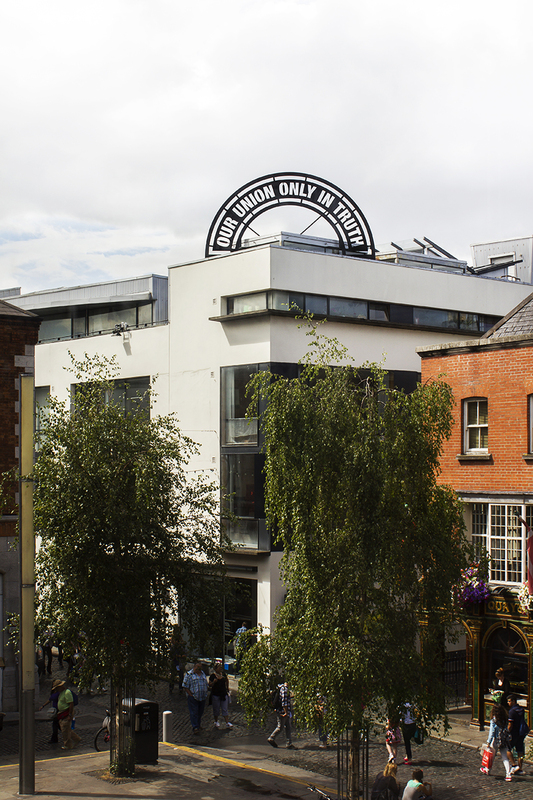 Launched on May 1st 2013, ‘OUR UNION ONLY IN TRUTH’ stands tall on the roof of TBG+S, looking over Temple Bar Square. This art work act as a beacon for the TBG+S building and shares an uplifting message as a new landmark for the city and its inhabitants. As part of the development of the project, Garrett Phelan has produced a number of exclusive limited edition art works for funding the work. 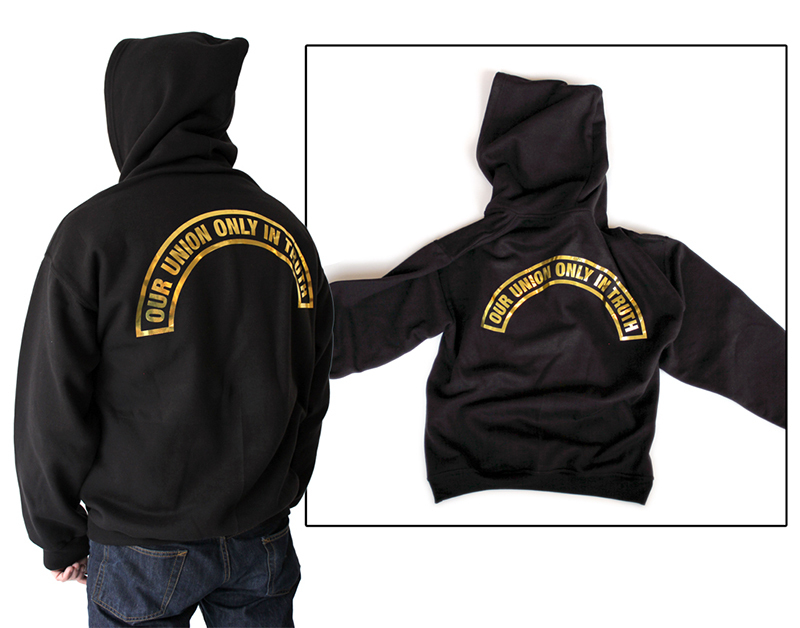 On offer were a designed limited edition shoulder patch, a specially designed limited edition hoodie and a limited edition Maquette of the ‘OUR UNION ONLY IN TRUTH’ sculpture. 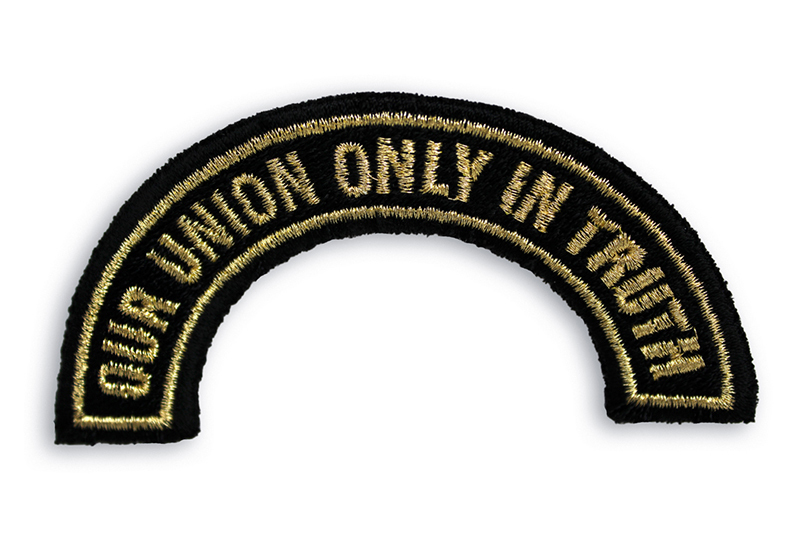 OUR UNION ONLY IN TRUTH' embroidered shoulder patch designed by Garrett Phelan. Gold and Black, size : 90 x 45mm. Limited edition of 200. 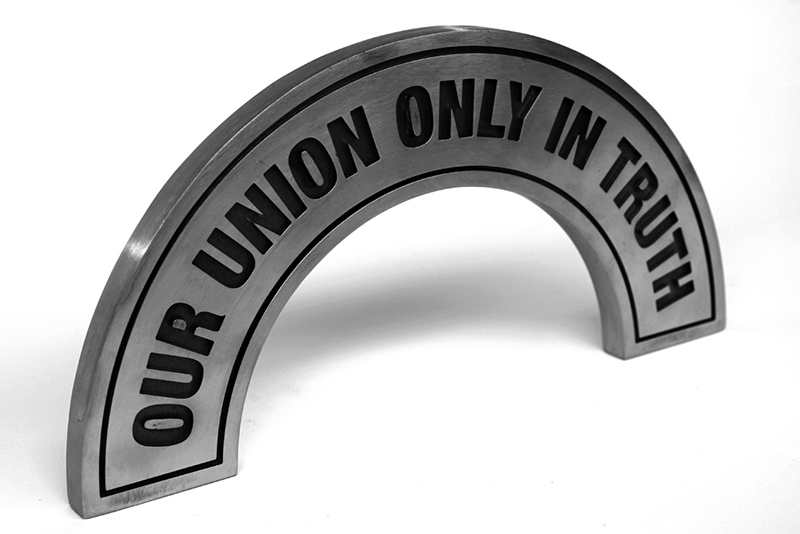 OUR UNION ONLY IN TRUTH' Maquette designed by Garrett Phelan. Polished mild steel, size : 300 x 150 x 15mm. Signed limited edition of 6. 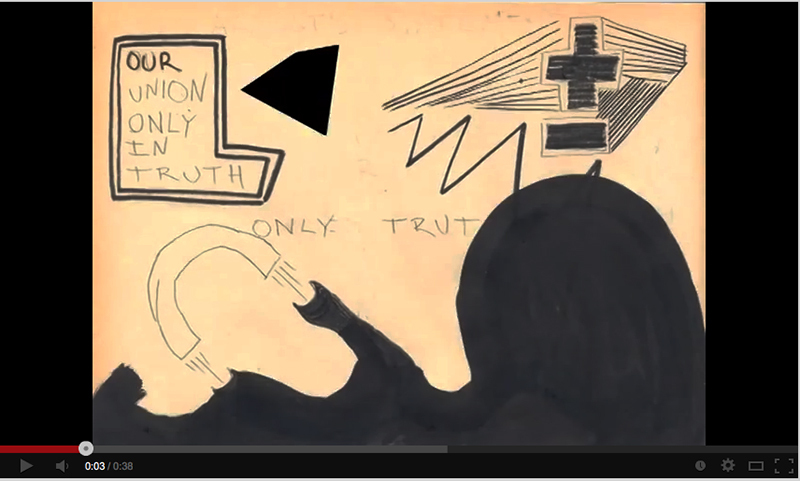 OUR UNION ONLY IN TRUTH' Still from animation used to promote the project.